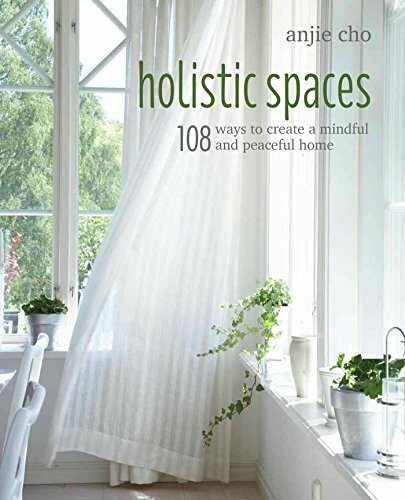 In the late summer of 2015, I was in Brookfield Place in lower Manhattan where I found a book titled “108 Ways to Create Holistic Spaces“. I was in a bit of a rush, but snapped a photo of this because I knew this was something I needed to read. At the time I was with my Mom and said “I would love to meet this designer one day”. A year later, my friend Katie Hess invited me to a super moon soirée on the roof top of building in Flatiron. I sat down next to Anjie and we started talking and I immediately knew we were going to be friends. It wasn’t until in 2017 that I had finally got around to organizing my photos when I found this photo I had taken in 2015 to remind me I wanted to read this book, and to my surprise the author was my incredible friend Anjie Cho! Since getting to know Anjie and watching her on YouTube, I often turn to Anjie when I’m feeling like something could be made better or for practical solutions to improve the flow of energy and balance in my space. Learn more from her podcasts HERE. I wanted to find out more about Anjie for some advice on how to Spring Clean our beauty cabinets and asked her for some advice…Check it out!